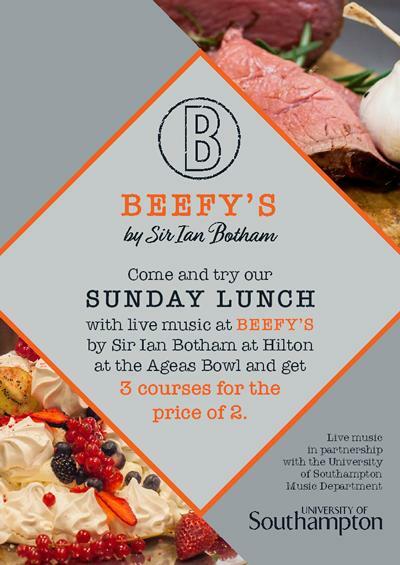 For more information regarding this event, please telephone Beefy's on 02382 027097 or email Beefys@hiltonageasbowl.com . 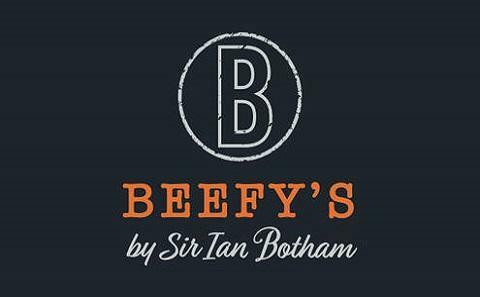 The Music Department continues its new partnership with Beefys restaurant which overlooks the cricket pitch at the Ageas Hotel. Every Sunday, the Music Department presents live jazz from 1-2.30pm for diners. University staff can take advantage of a special ‘3 courses for the price of 2’ with presentation of their University card or by entering ‘UOS’ when booking online. Please see attached flyer from more information.